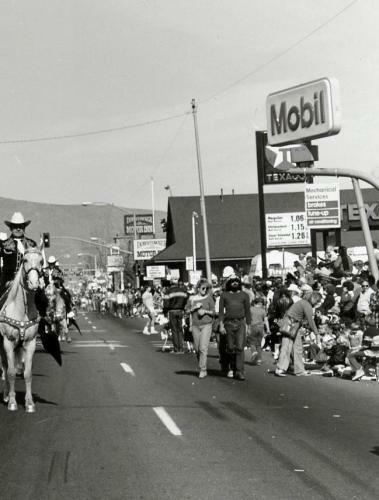 An undated Nevada Day Parade. This view is looking north on Carson Street from near Robinson. On the right are 2 gas stations, Texaco and Mobil, that were on opposite sides of Caroline Street. In the distance is the old V&T Depot and signs for the Downtowner Motor Inn.